LGBTQI immigrant detainees are in need of direct service support in order to thrive instead of survive! We're leaning on community to ensure their well being. Cost of MTA card and dinner for someone at QDEP's support group. Giftcard for groceries for someone recently released from detention. Cell phone for someone recently released from detention. Cost of a monthly train card for someone recently released from detention. The LGBTQI community in the US has won numerous victories in our struggle for equal rights. And while we've been able to advance our struggle, the same isn't true for our community in other parts of the world. We must reach beyond the borders of our insular communities extend efforts towards our international peers. Moreover, it is important to remember that there are LGBTQ parents and unaccompanied minors who are being impacted by the current border policies, which place them at risk of not only detention and/or deportation but also discrimination against their LGBTQ identities. The Queer Detainee Empowerment Project (www.qdep.org) is working to address the various issues faced by new LGBT immigrants by connecting the LGBT community with these individuals who are forced from their homes due to violence and persecution, and who come to the U.S. for the relative freedom and safety of a more accepting place. QDEP provides post-release support, detention center visitation, direct services, and community organizing projects that work with Lesbian, Gay, Bisexual, Queer, Two Spirit, Trans, Intersex, Gender Non- Conforming, and HIV+ (LGBTQIA* GNC TS) immigrant prisoners and their families currently in detention centers, those that have been recently released from detention centers, and those at risk at entering immigration detention in the Tri-State Area (Connecticut, New Jersey, New York). By becoming a sustaining donor, you can contribute to those of our clients who will be experiencing their first winter and seeing snow for the first time, buy a coat to keep them warm. Or your contributions may go towards funding Metrocard fees or cell-phone costs which will help our clients stay connected as well as attend appointments and/or interviews with doctors, lawyers, or jobs. Additionally, our clients who are still in detention need funds for their commissary so that they may have access to supplies and needs. How might your generous donations make someone's arrival a bit more manageable? We ask that you consider giving what you can so that we can provide financial support to QDEP's members! QDEP is a project of the Center for Transformative Action, a 501(c)3 nonprofit organization, which accepts all funds on our behalf. 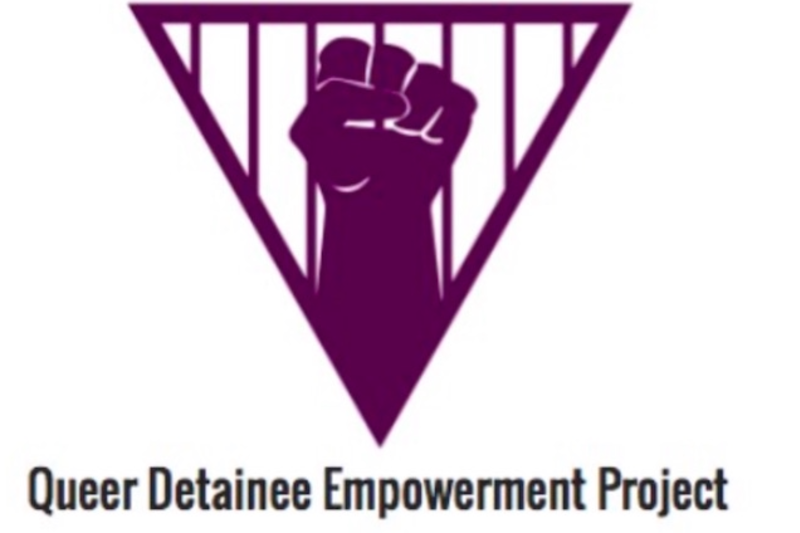 The Queer Detainee Empowerment Project, a project of the Center for Transformative Action, assists people who are coming out of immigration detention in securing structural, health/wellness, educational, legal, and emotional support and services. We work to organize around the structural barriers and state violence that LGBTQI detainee/undocumented people face related to their immigration status, race, sexuality, and gender expression/ identity. We are committed to assisting individuals in building lives outside of detention, to breaking down the barriers that prevent folks from building fulfilling and strong lives, and to keeping queer families together by demanding an end to deportations/ detention/ policing. We believe in creating a narrative of thriving, not just surviving. The Queer Detainee Empowerment Project (QDEP) is a collective Alternative to Detention (ATD), detention center visitation, direct service, and community organizing project that works with Lesbian, Gay, Bisexual, Queer, Two Spirit, Trans, Gender Non- Conforming, and HIV+ detainees and their families currently in detention centers, those that are recently released from detention centers, and undocumented persons in New York City. QDEP works to create a world where Lesbian, Gay, Bisexual, queer, Two Spirit, Trans, Gender Non- Conforming, and HIV+ detainees/undocumented/immigrant individuals can pursue what their own vision and dreams of success is in their lives without fear of structural violence or violence due to their race, status, sexual orientation and or Gender Identity/Gender Expression. QDEP is a proud member of the Detention Watch Network, as well as the International Detention Coalition. And is a member of the Close Rikers Campaign, Hate- Free Zones Campaign & National Prison Divestment Campaign Steering Committee. We work to build a trans and queer narrative and to queering the dialog and work in the immigration justice and abolition movement. QDEP is a project of the Center for Transformative Action, a 501©3 organization. No goods or services were exchanged for your generous contribution which is tax deductible to the extent allowed by law.